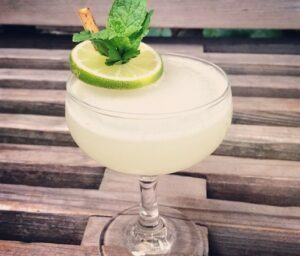 This refreshing, elegant libation is a tribute to the Beaux-Arts Neoclassical architectural movement of the late 1800s in France, an era in which sipping pastis was quite fashionable. The “pearl” refers to the visual opacity of the drink, an effect referred to as “louching,” which naturally occurs when any anise-flavored liqueur or spirit meets water. Combine the lime juice, cane syrup, and mint sprig in a cocktail shaker. Muddle the ingredients. Next, add the Pernod and gin. Fill the shaker to the top with ice and shake well. Double strain into a chilled cocktail glass. 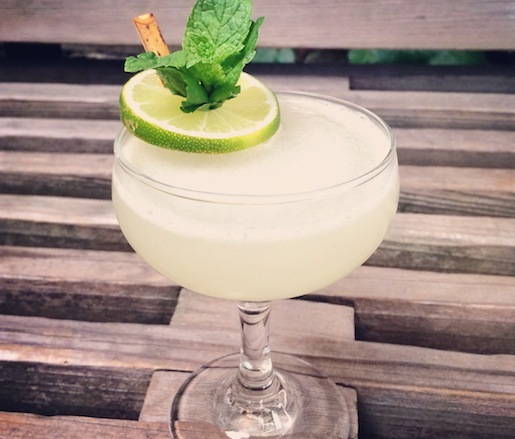 Garnish with a lime wheel and mint sprig.